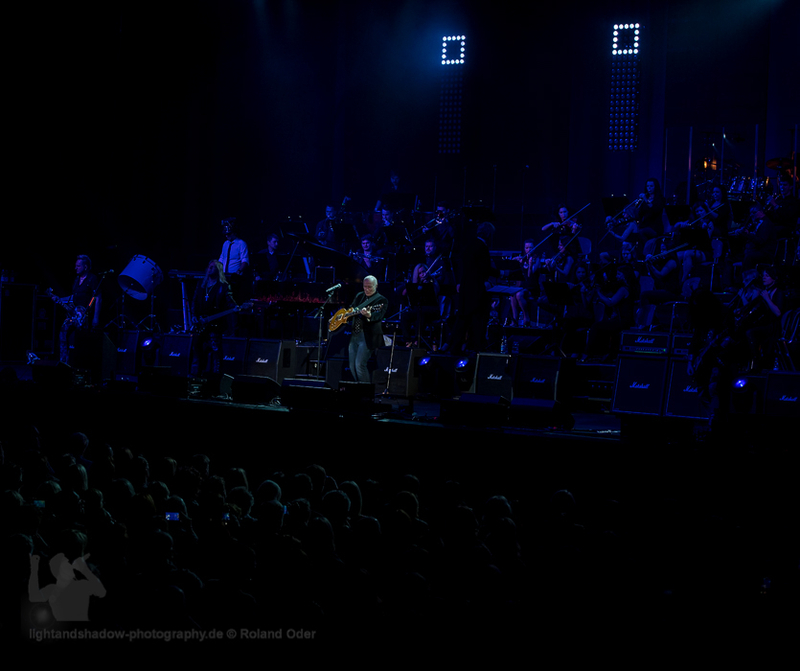 (c) by lightandshadow-photography.de Veröffendlichung nur mit Genehmigung. 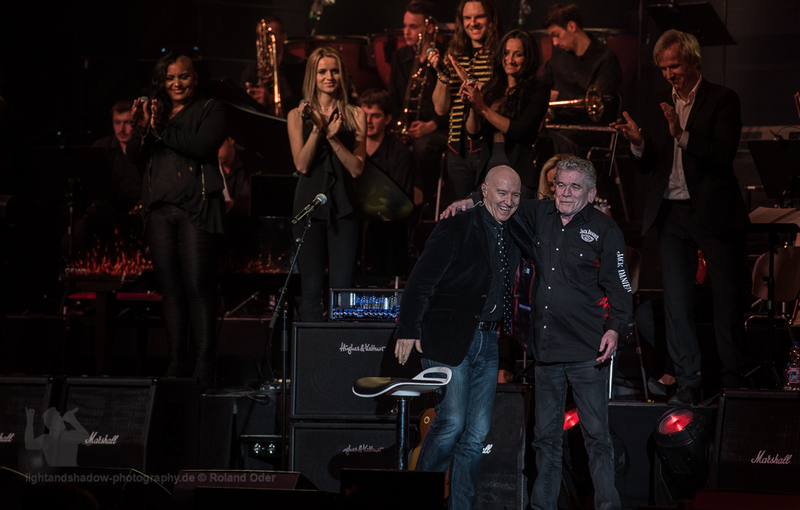 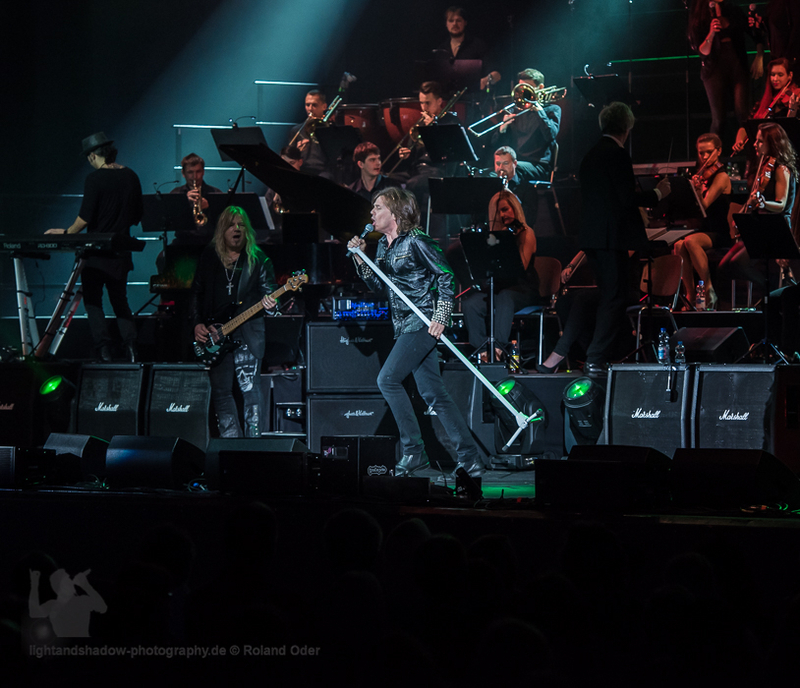 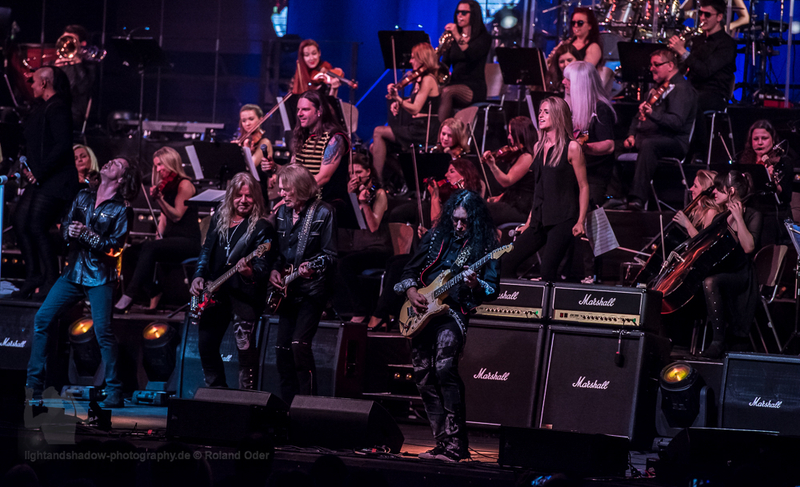 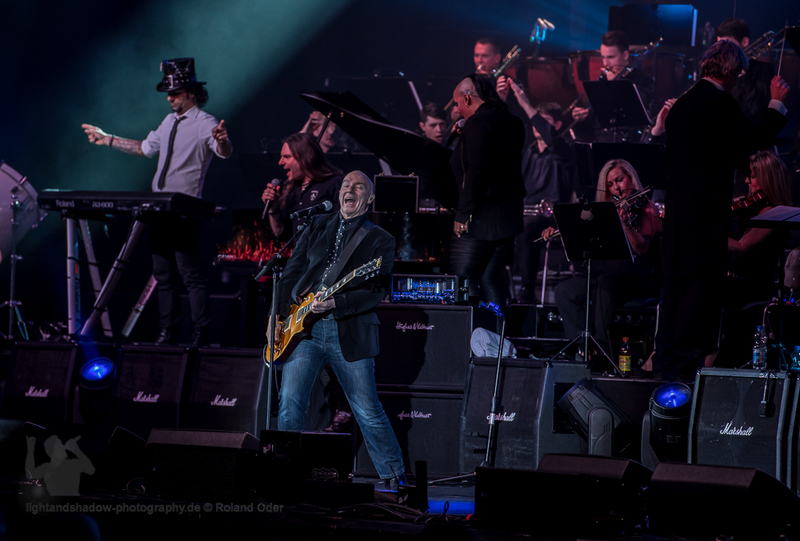 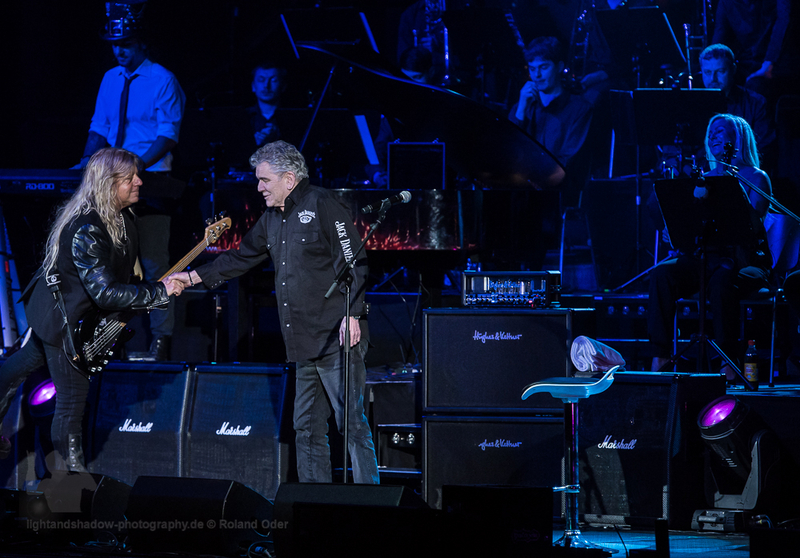 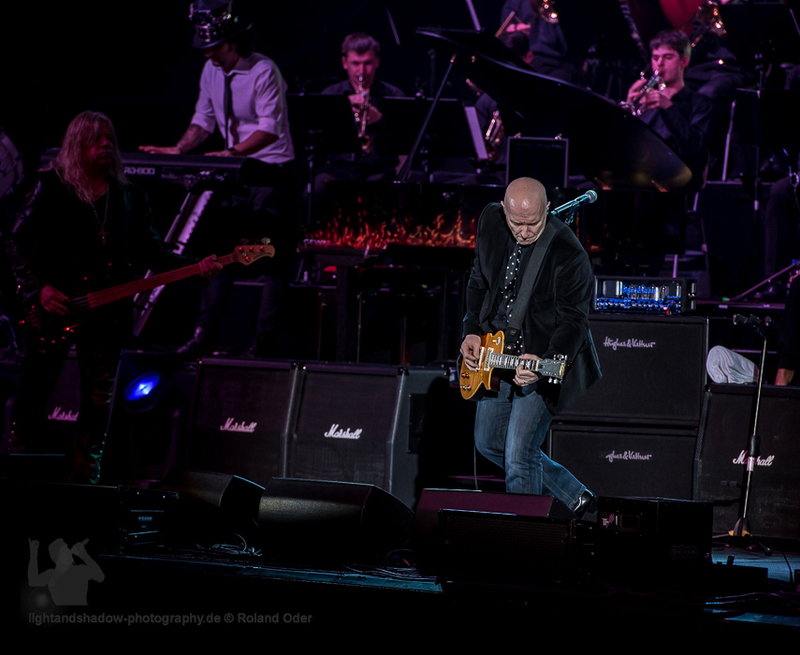 Rock meets Classic 2016 in Düsseldorf. 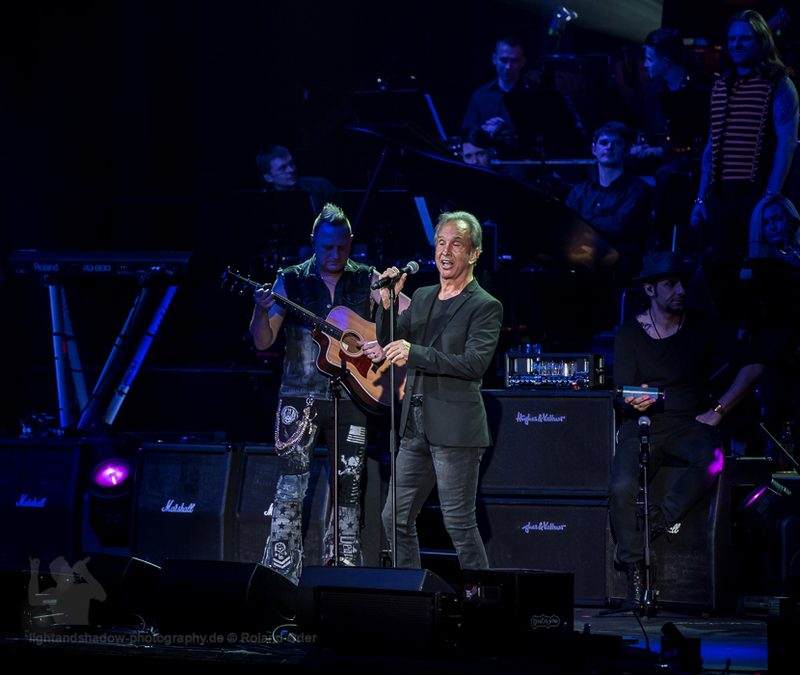 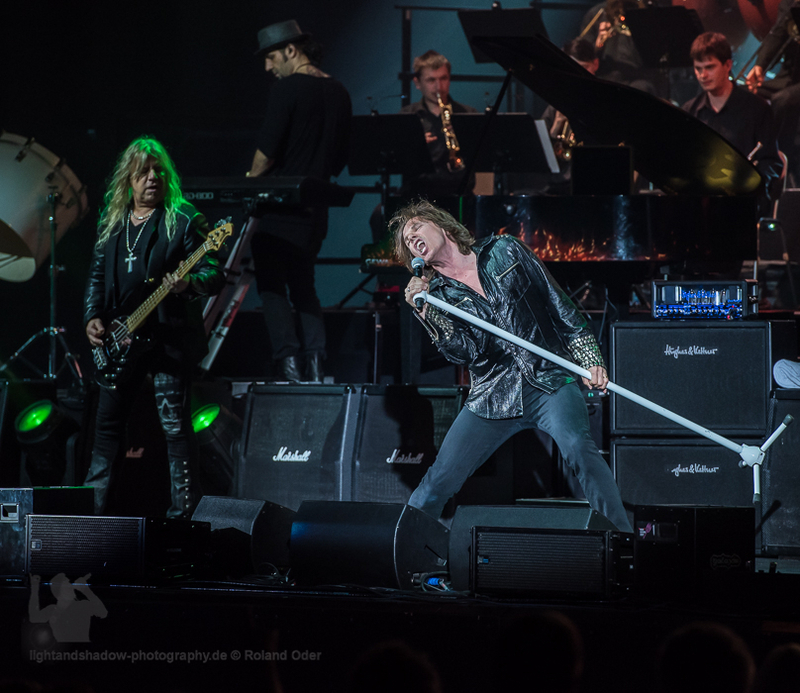 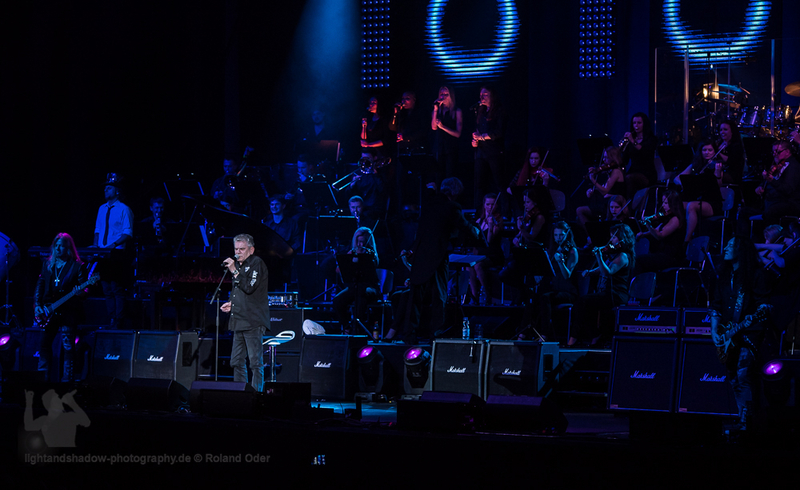 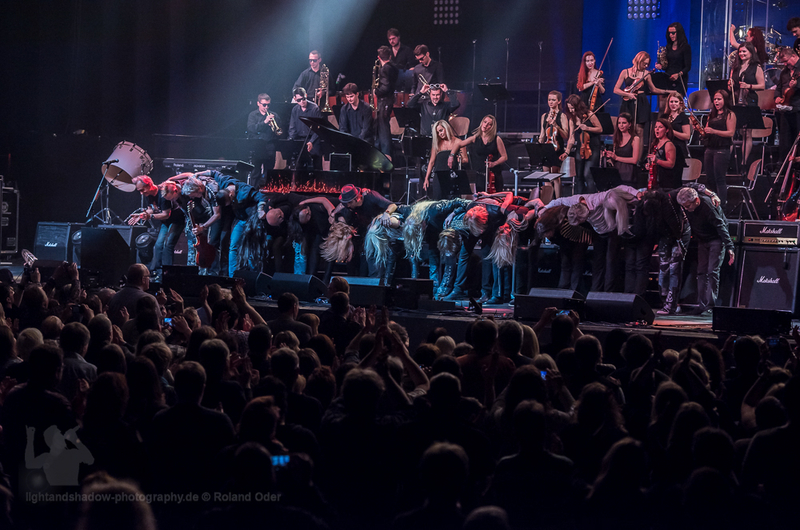 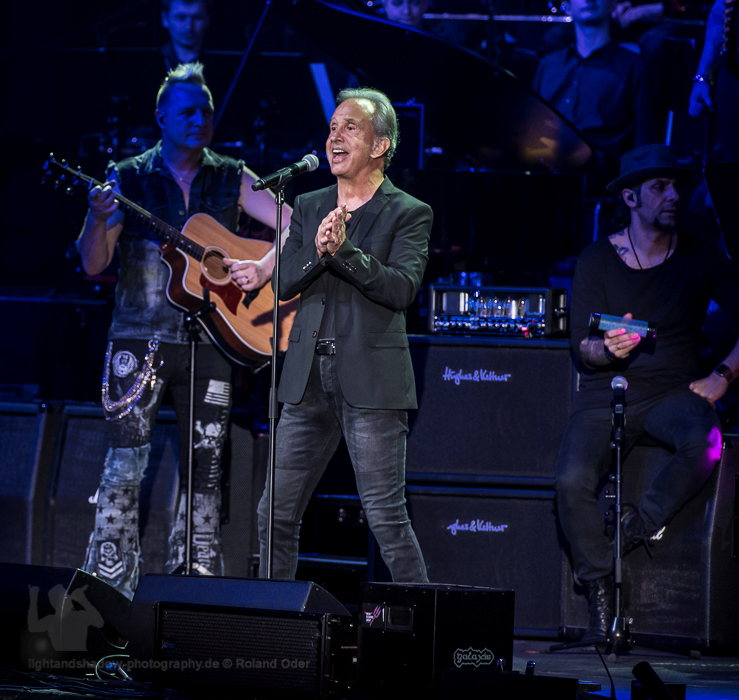 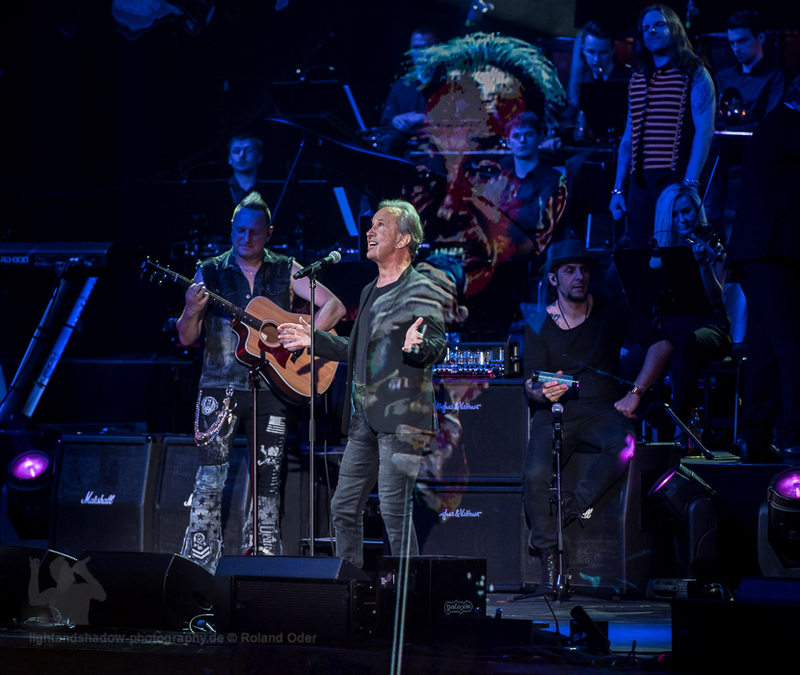 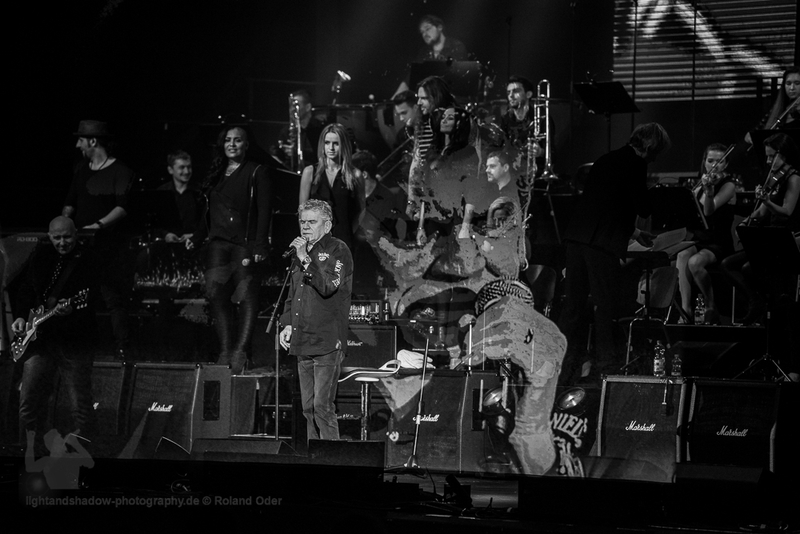 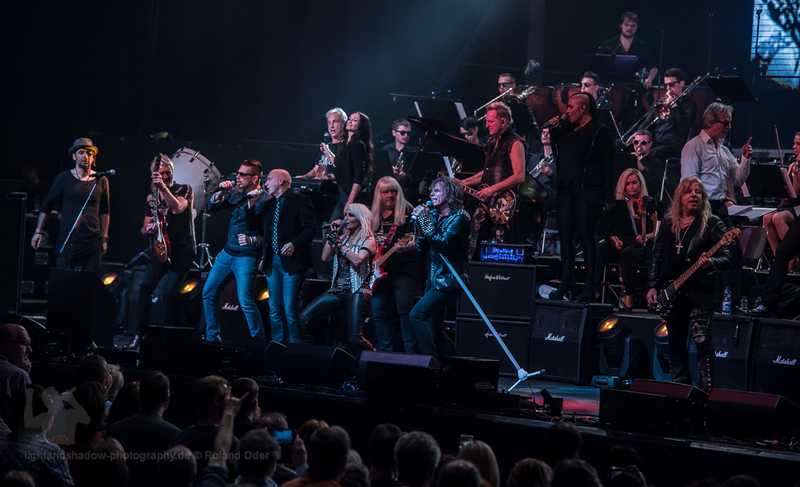 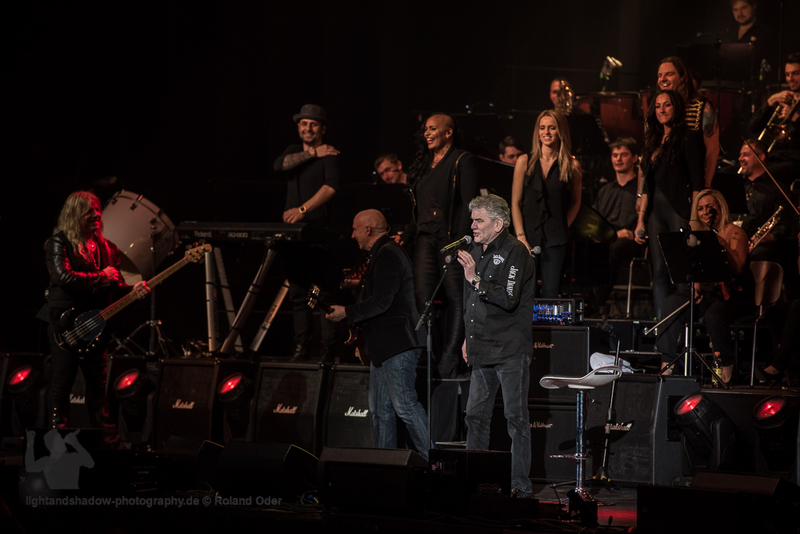 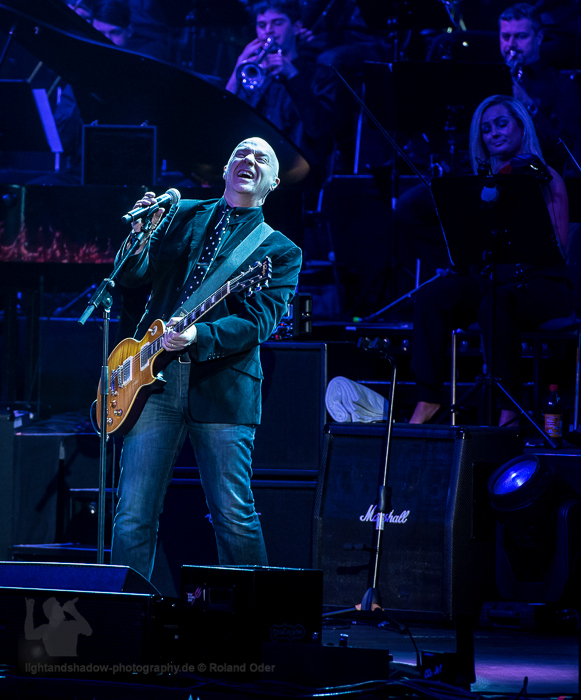 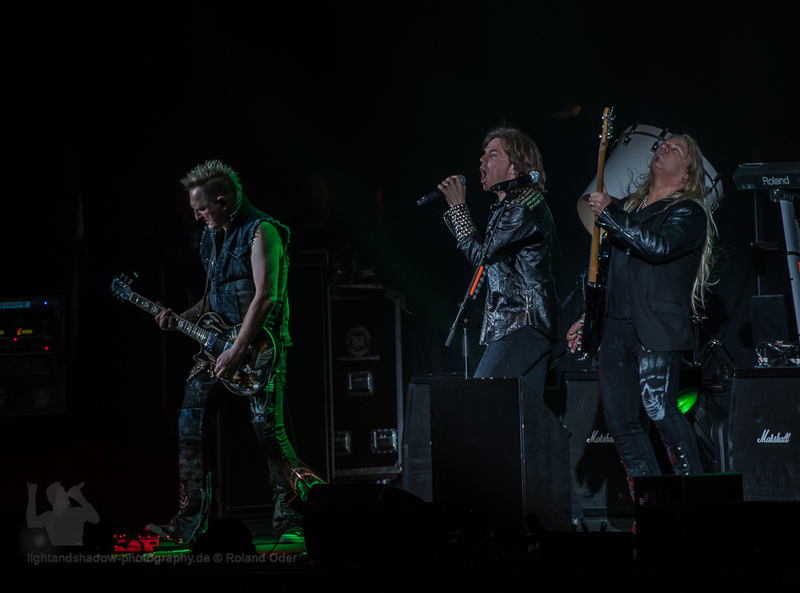 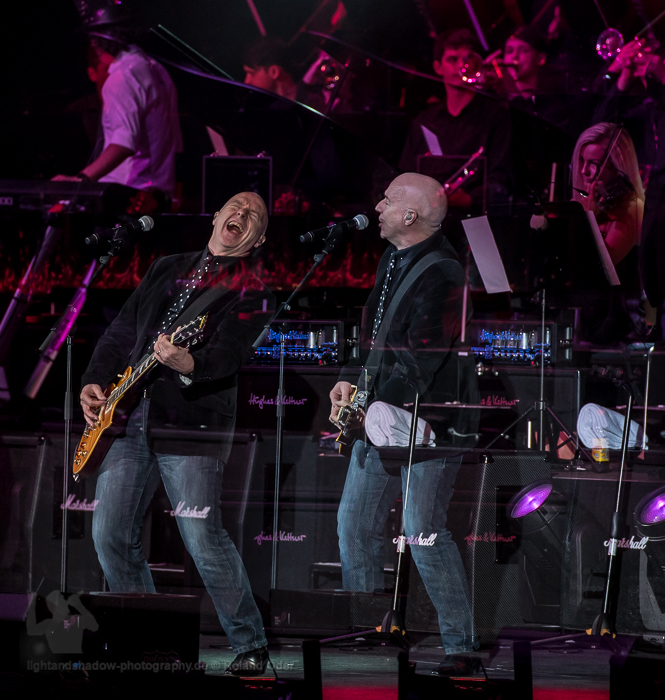 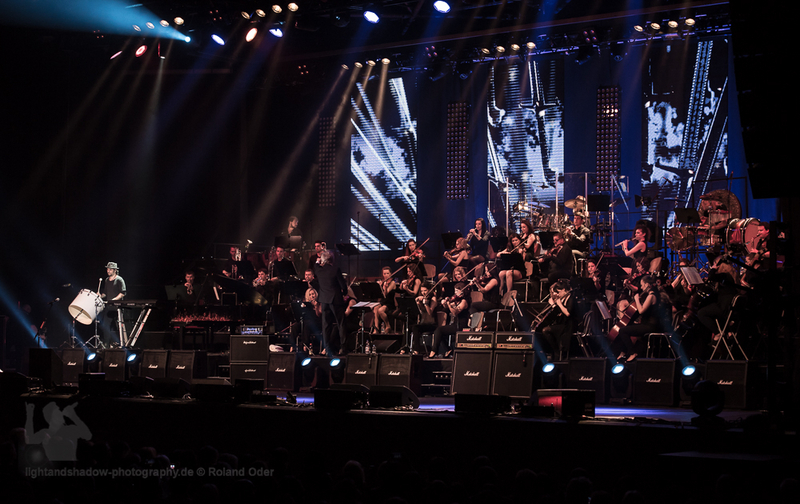 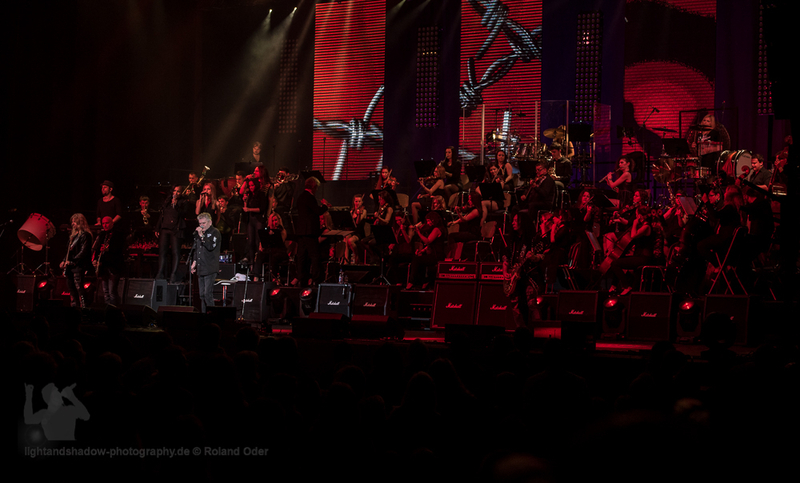 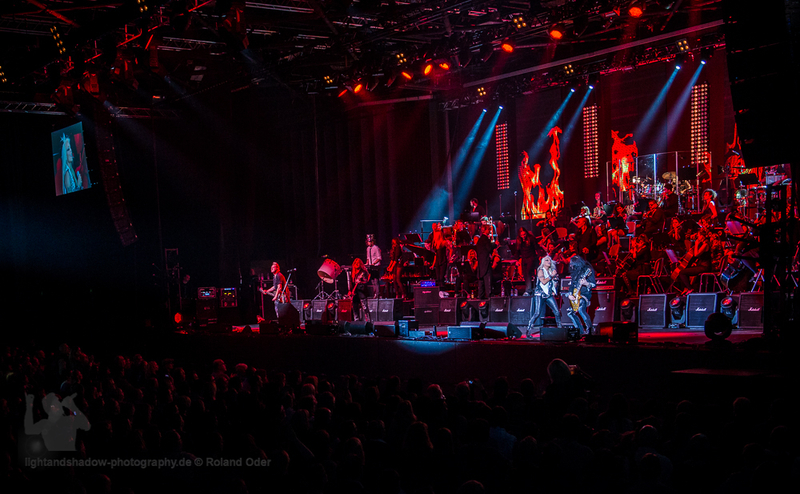 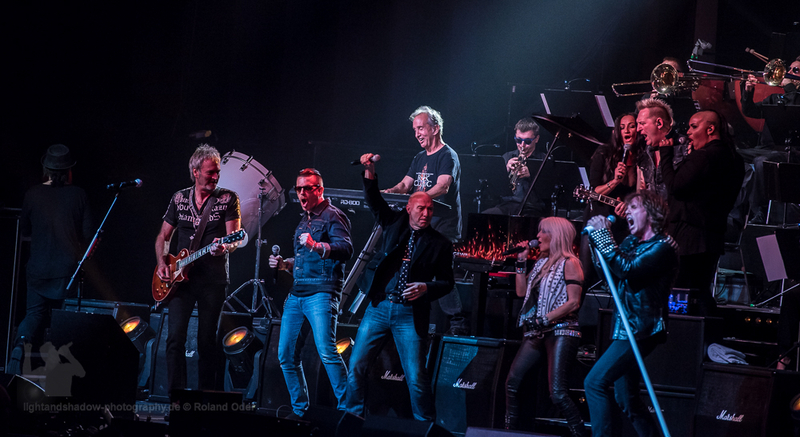 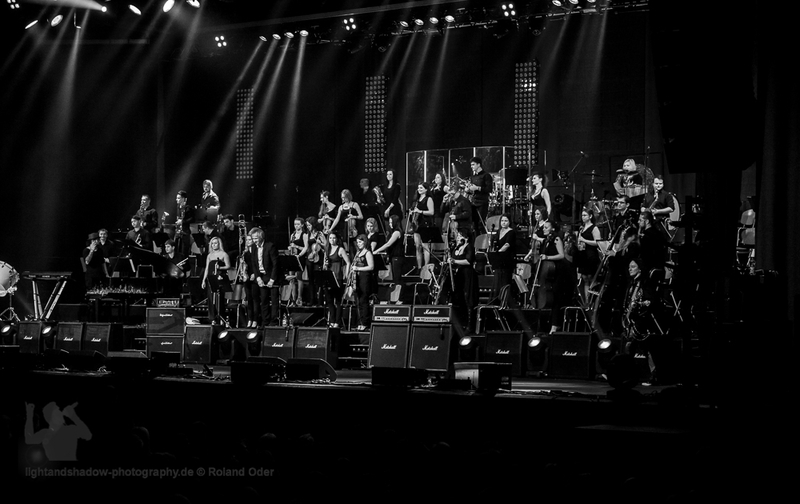 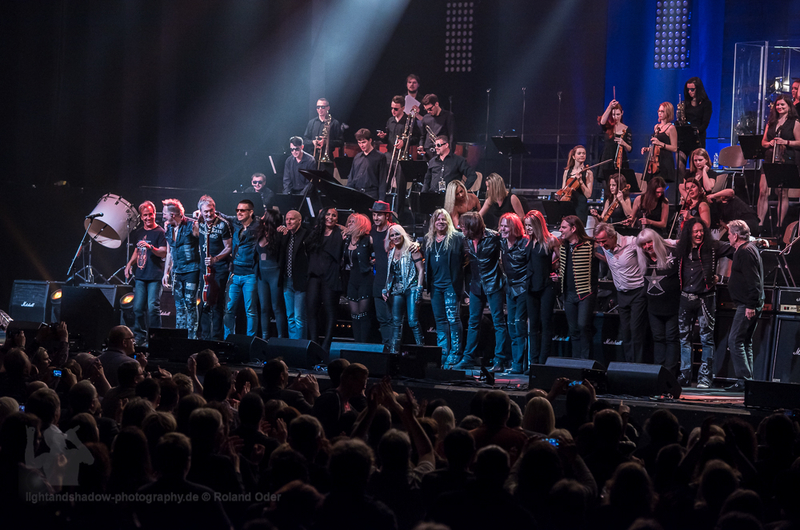 For the first time hosted the Rock meets Classic Show in Düsseldorf. 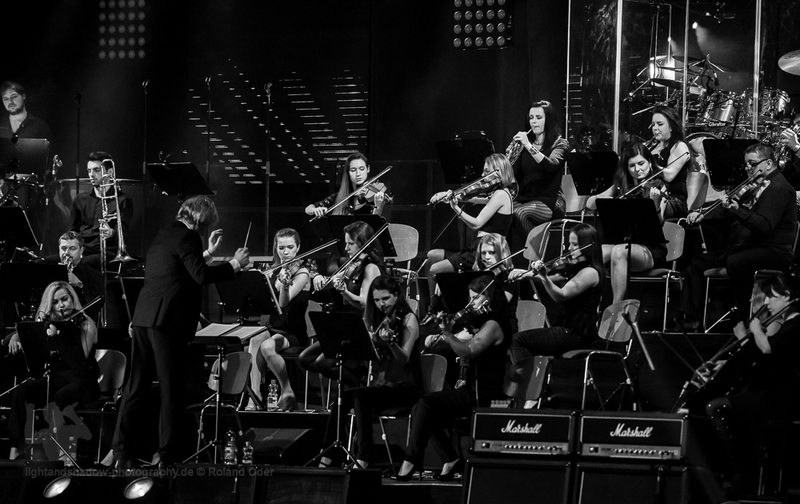 A combination of hard rock and classical orchestral music accompanied by the Mat Sinner band. 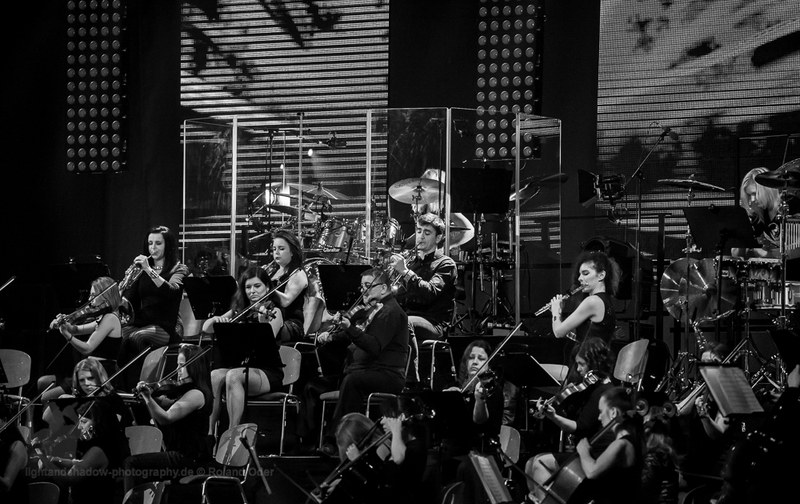 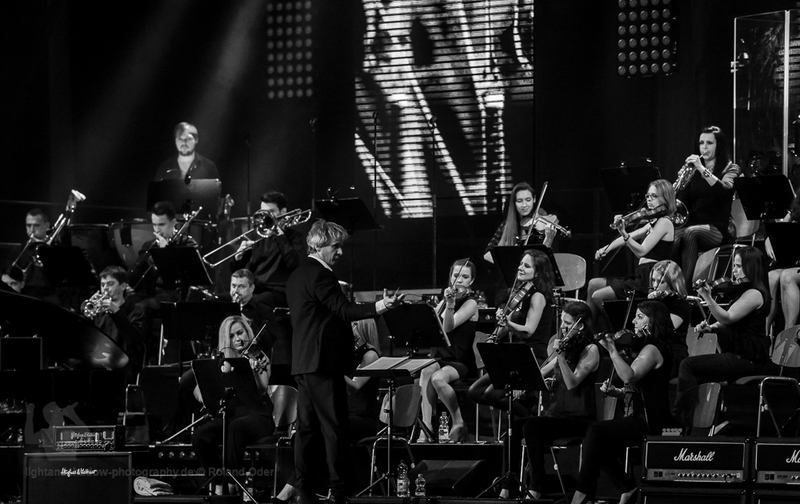 This three-hour concert event did´t want missed by circa 2000 spectators. 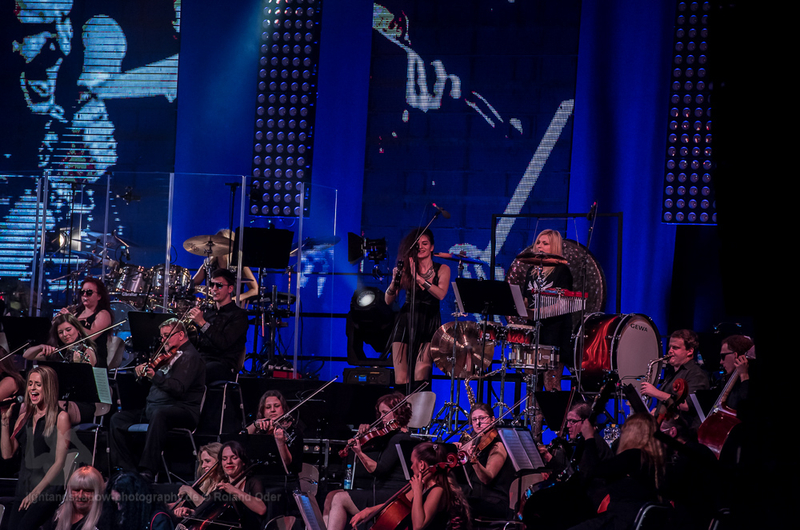 The evening was opened by the 42-member Bohemian Symphony Orchestra Prague, under the baton of Bernhard Wünsch. 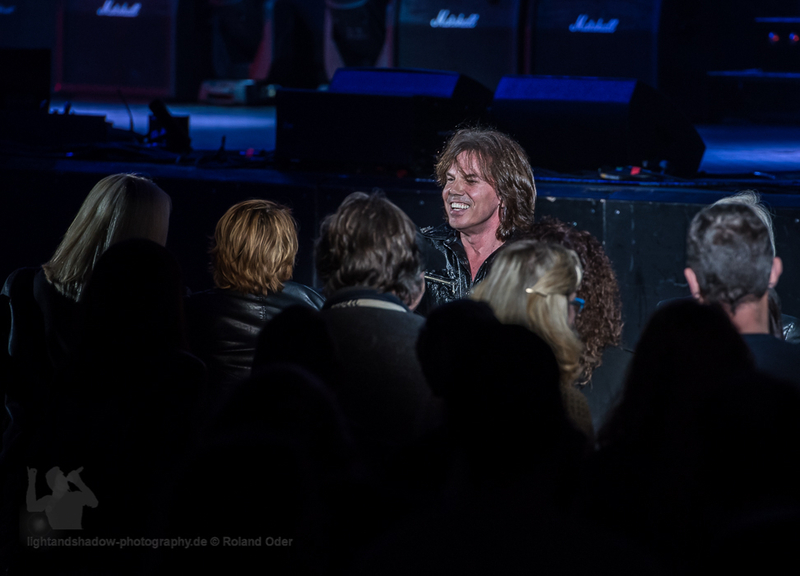 Steve Walsh, ex Singer of Kansas joined in the audience with the two top hits "Carry on Wayward Son" and "Action" in the evening. 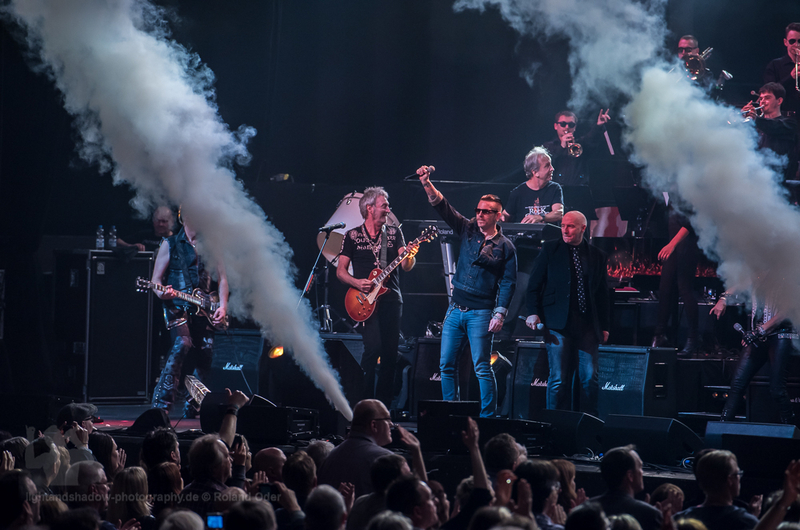 As Andy Scott and Pete Lincoln of The Sweet with "Fox on the run" entered the stage, it was boiling the first time in the hall. 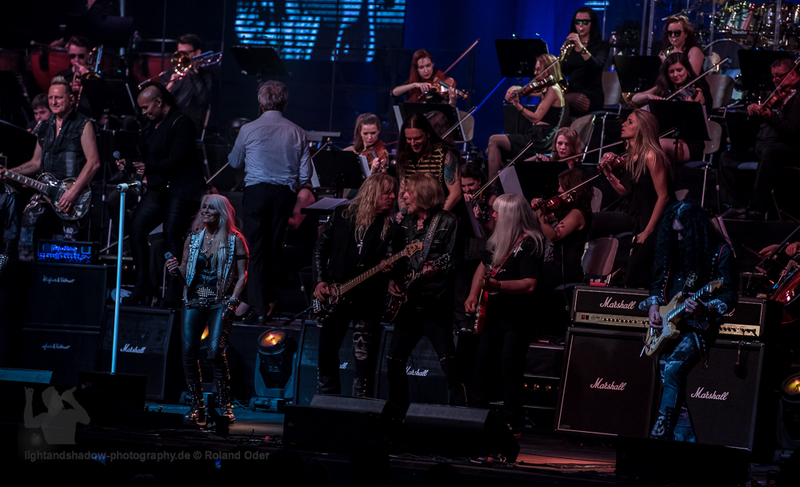 The local hero Doro Pesch brought with "Für Immer",Love´s gone to hell" and "All we are" animate the audience to sing along. 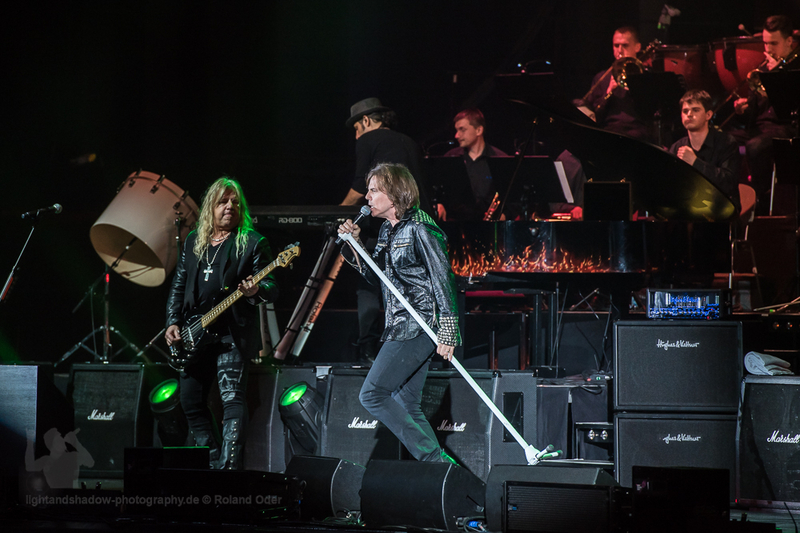 The Irish Hard Rocker Ricky Warwick and Scott Gorham of Thin Lizzy demanded audiences with "Jailbreak" and "Rosalie" with strong tones. 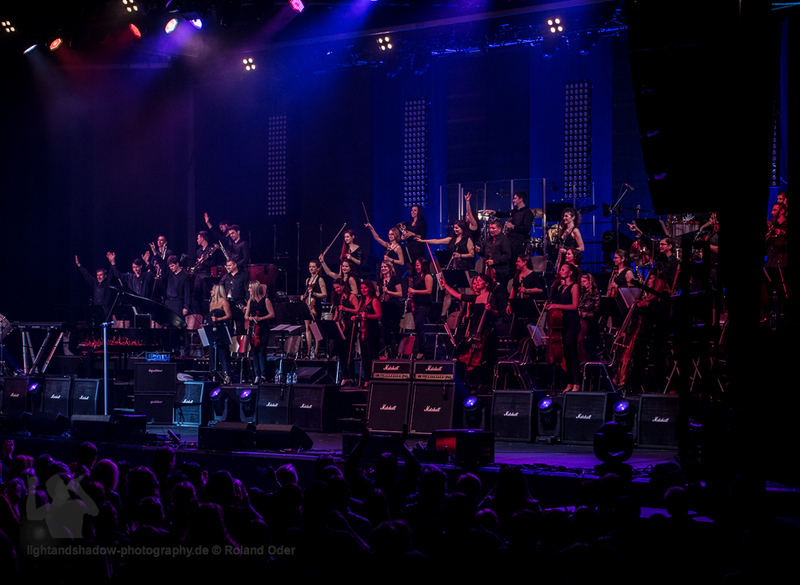 The BSOP brought the audience with a classic version of "Star Wars / Game of Thrones" back to Earth. 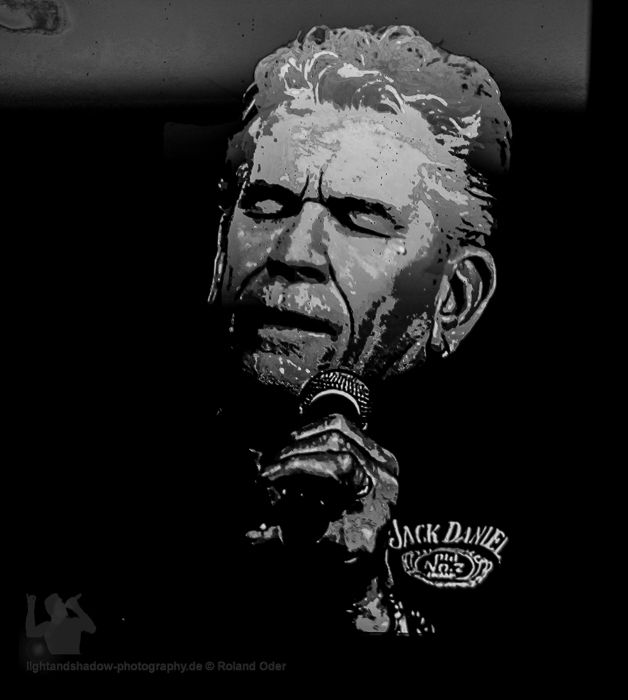 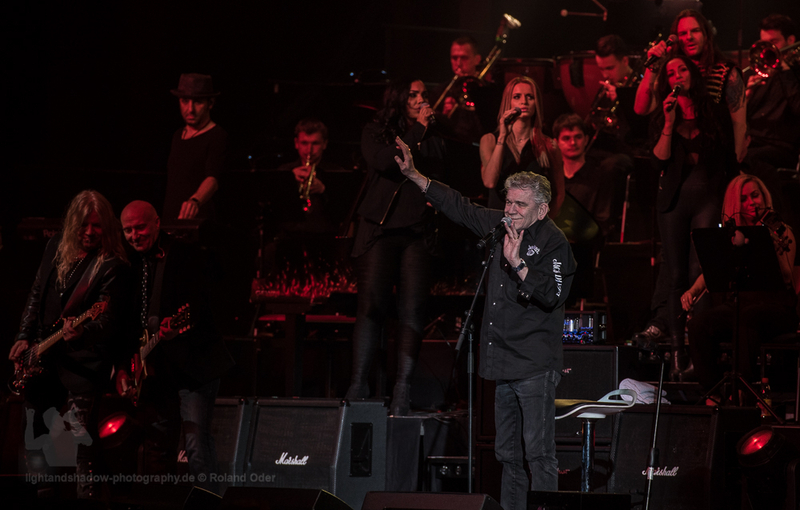 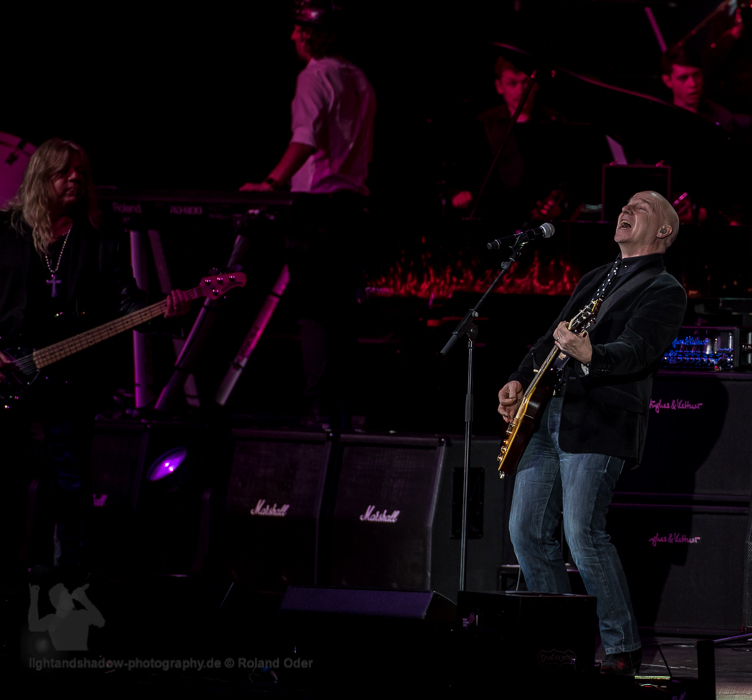 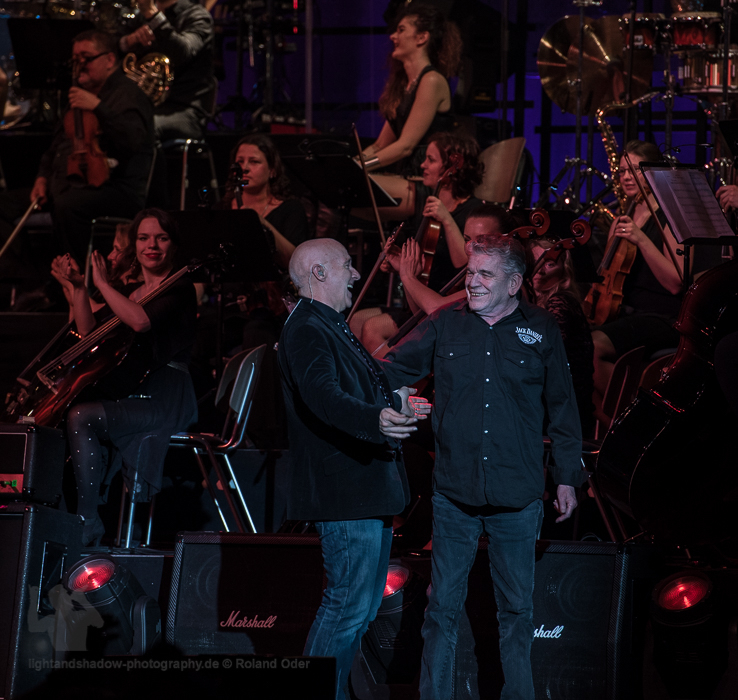 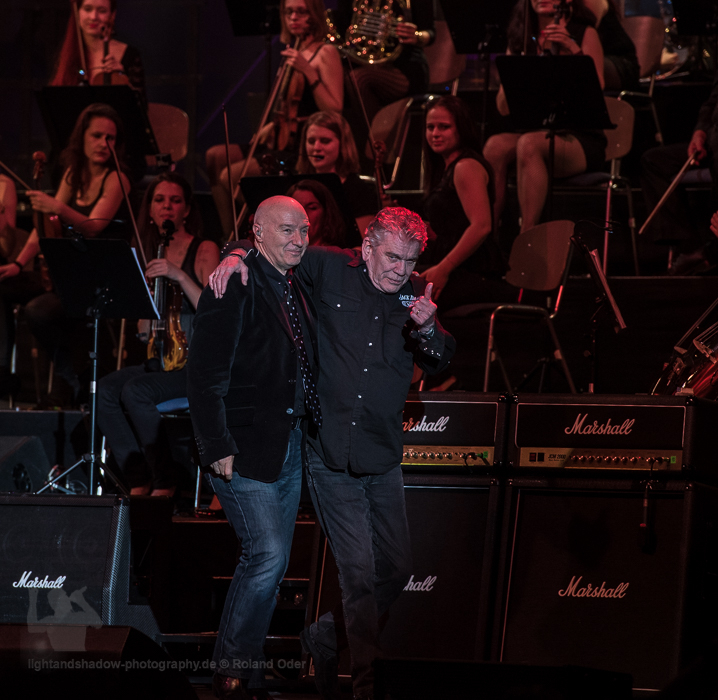 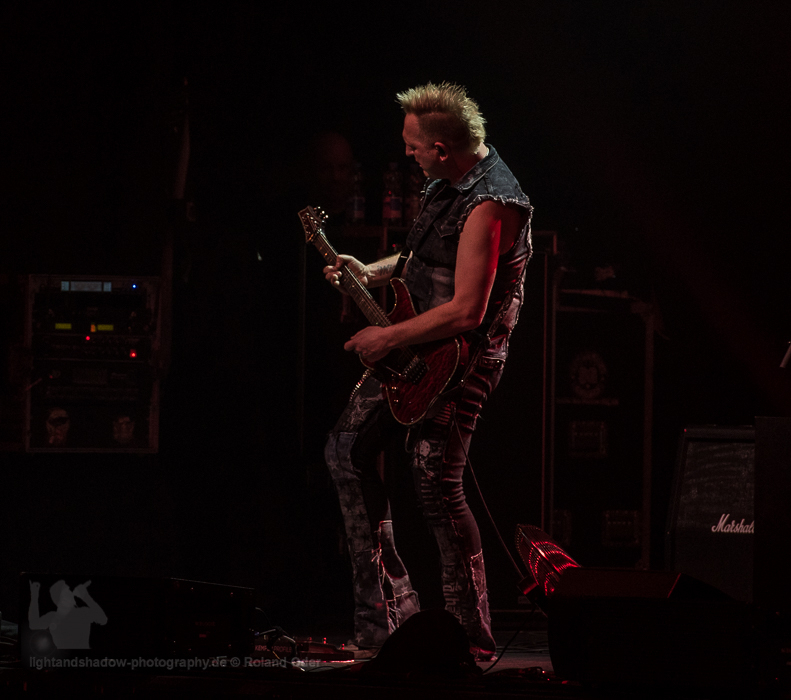 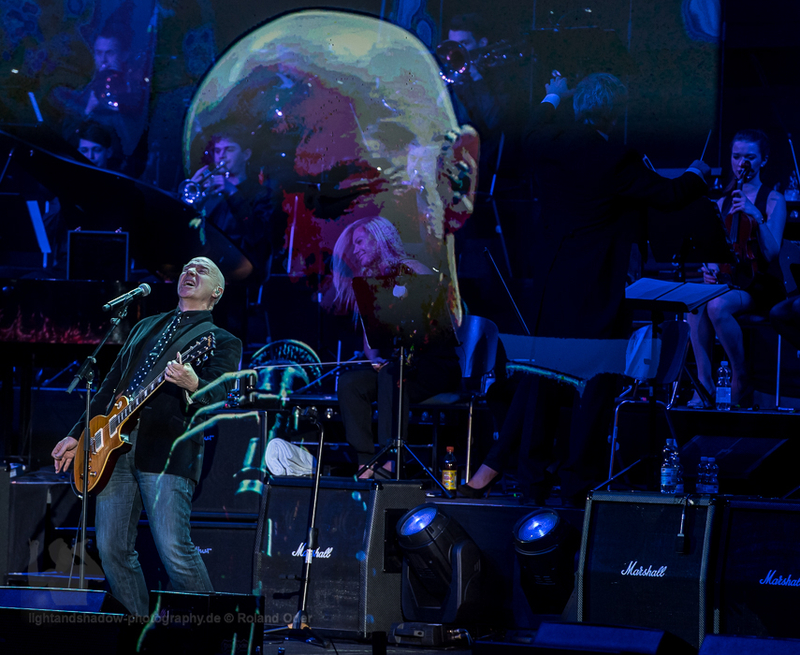 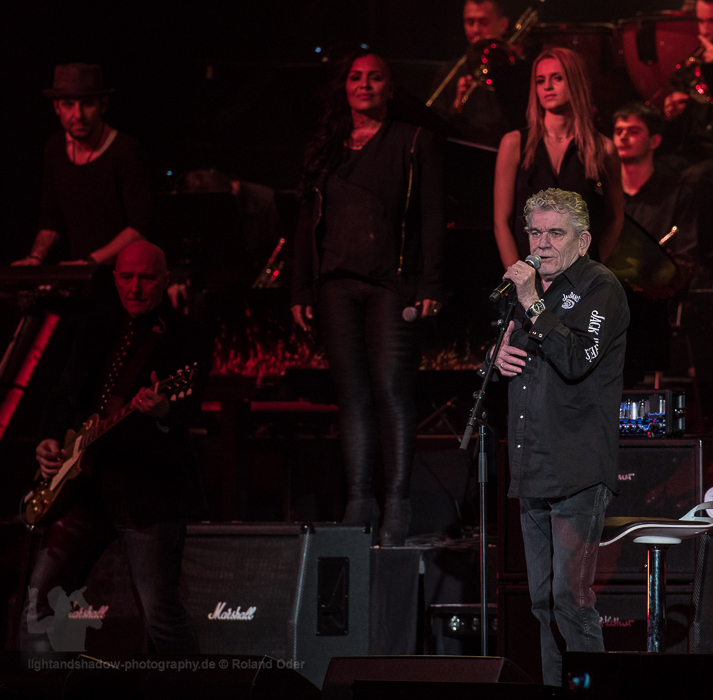 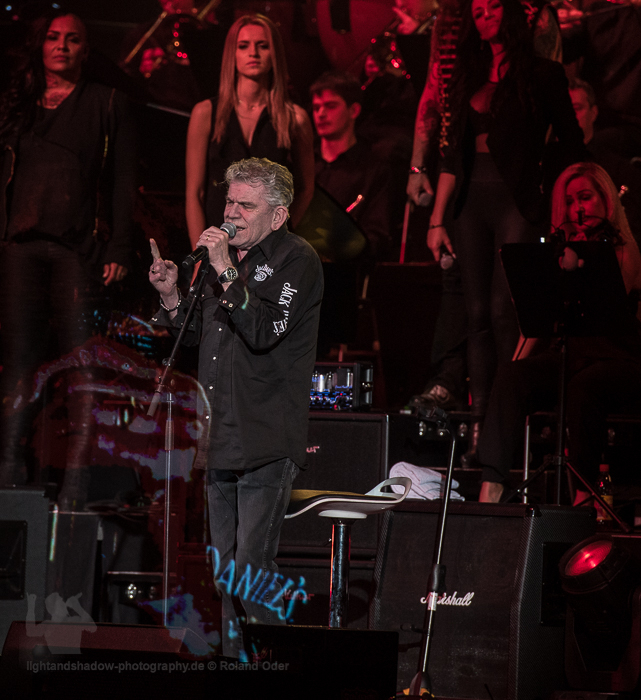 Dan Mac Cafferty, singer of the Band Nazareth, already in the first editions of the show here, showed the audience with "Dream on" again return its authorization on the stage and let the audience delight in nostalgia. 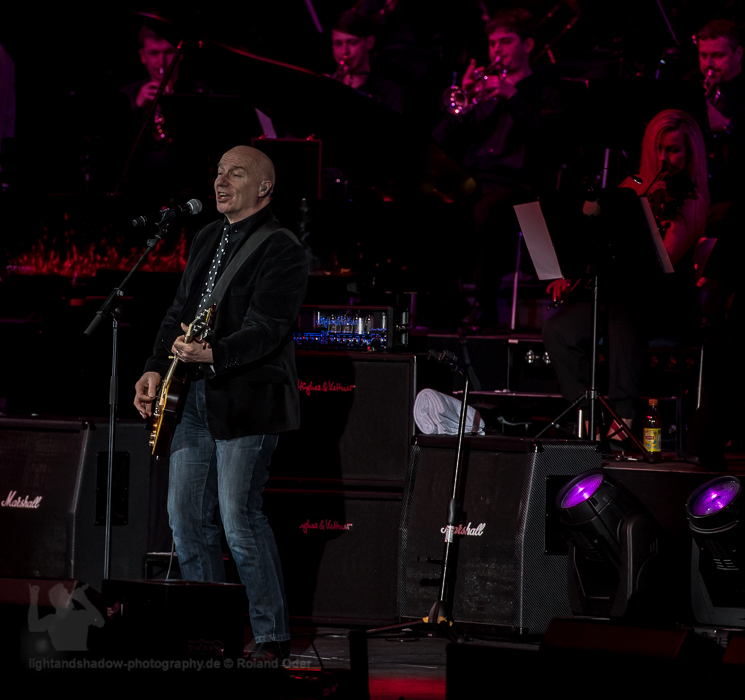 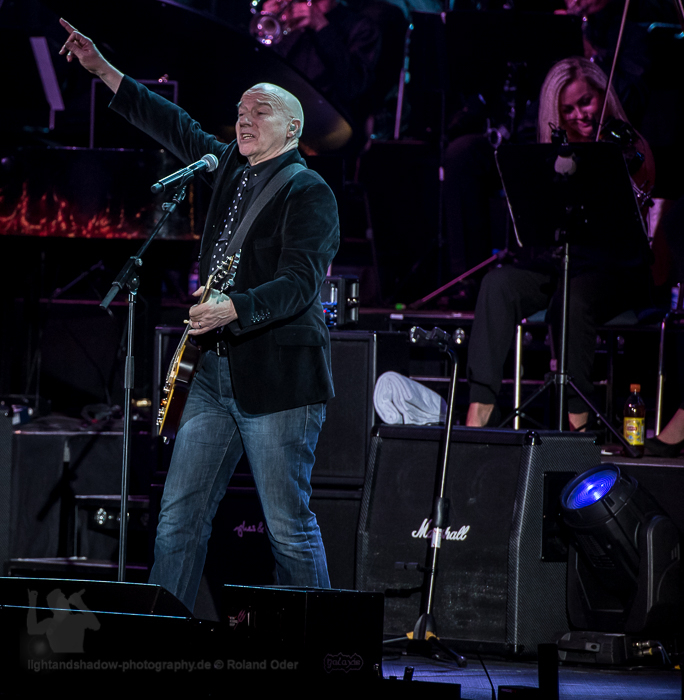 Midge Ure burned down the first real fireworks of the evening. 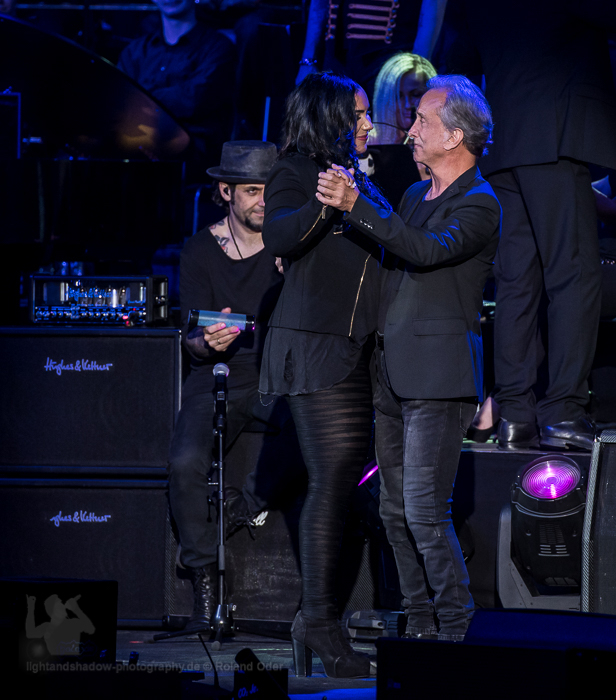 With the monster hits "If i was", "Vienna" and "Hymn" by his band Ultravox, brought the audience to dance. 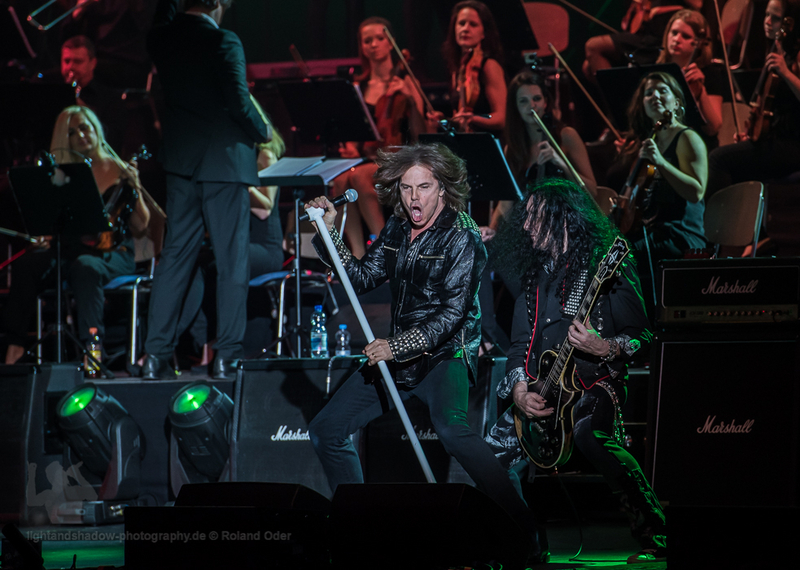 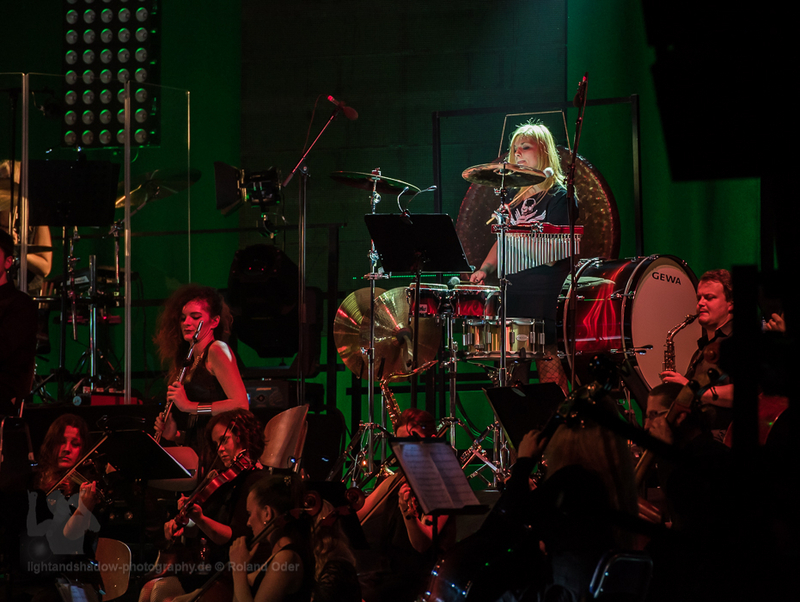 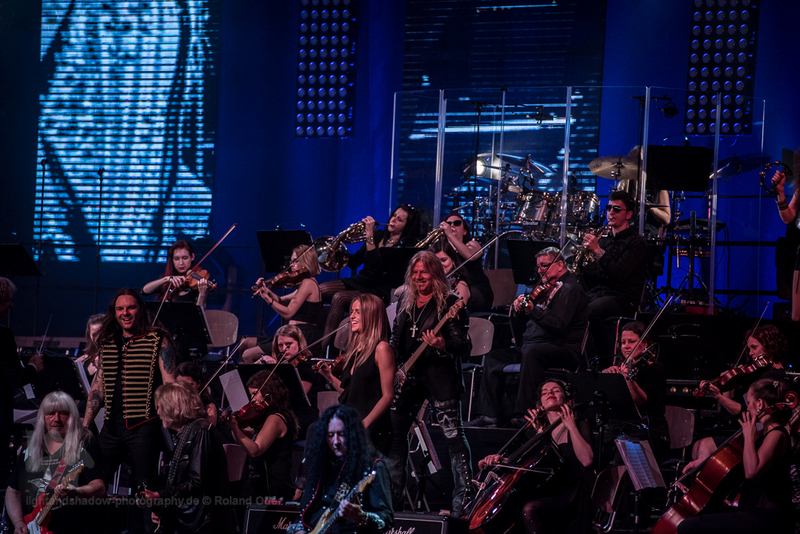 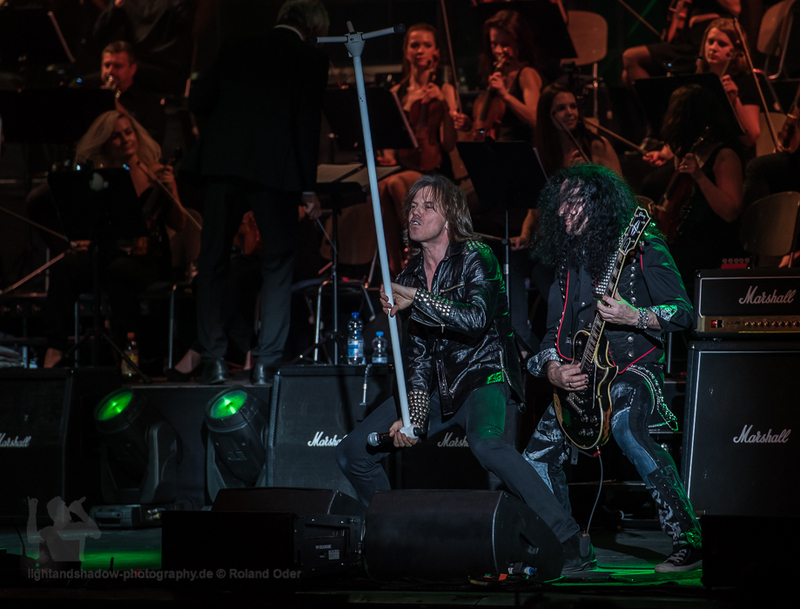 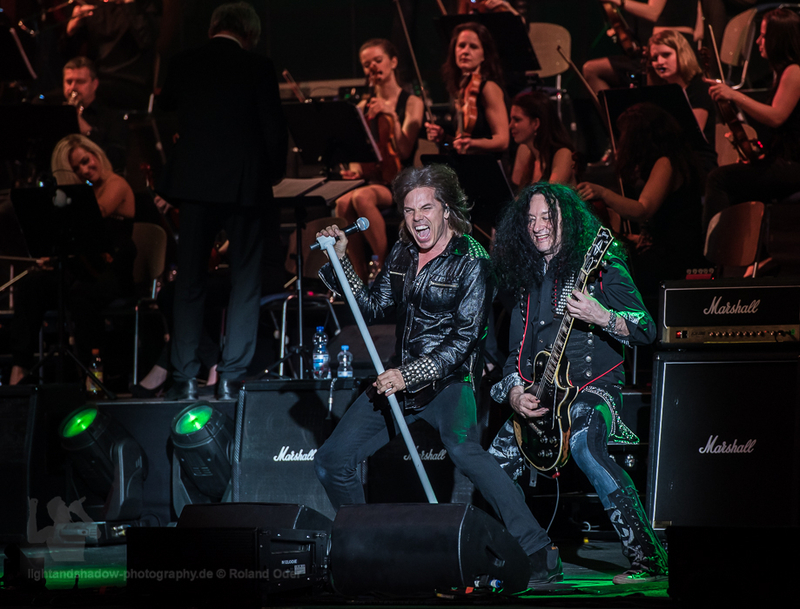 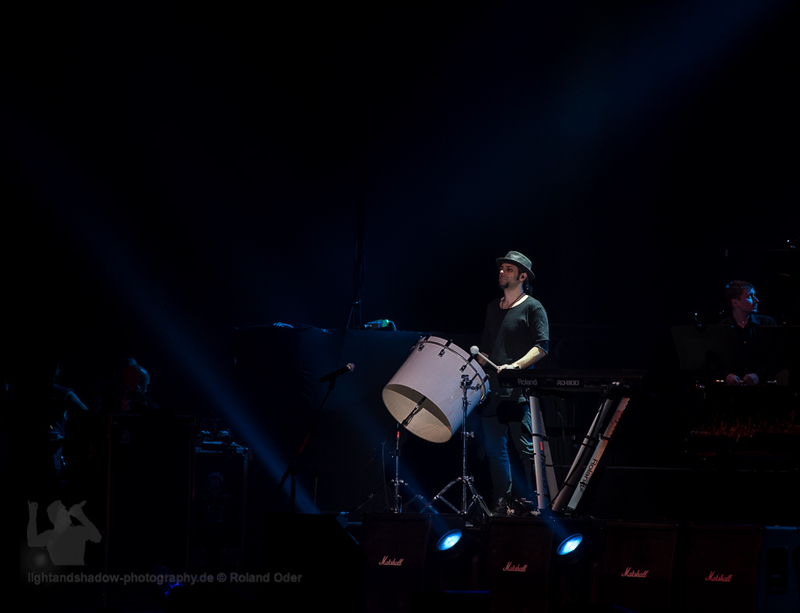 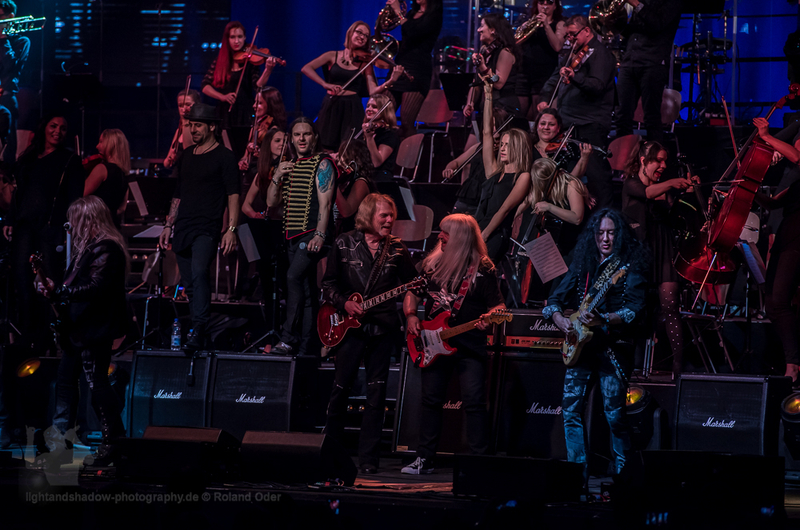 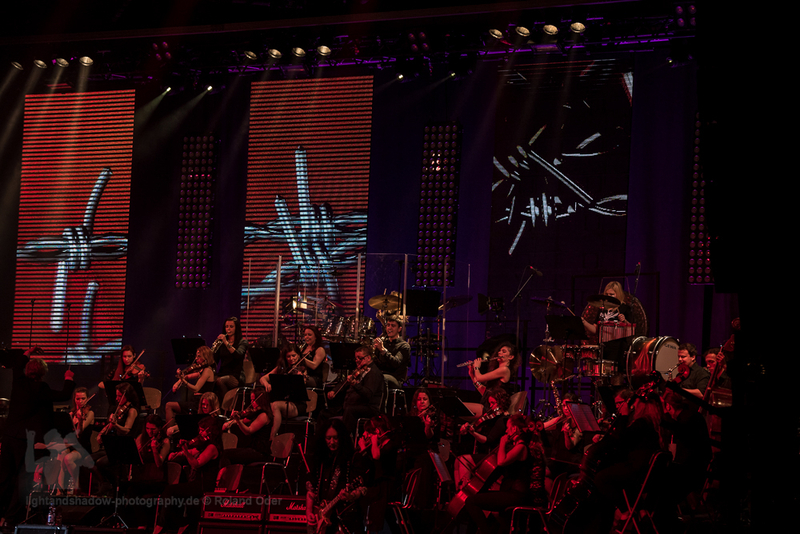 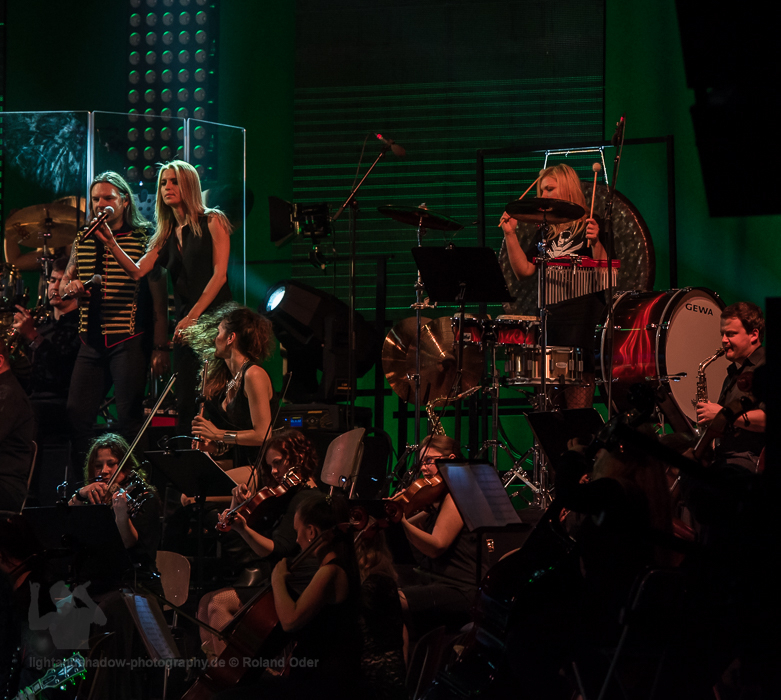 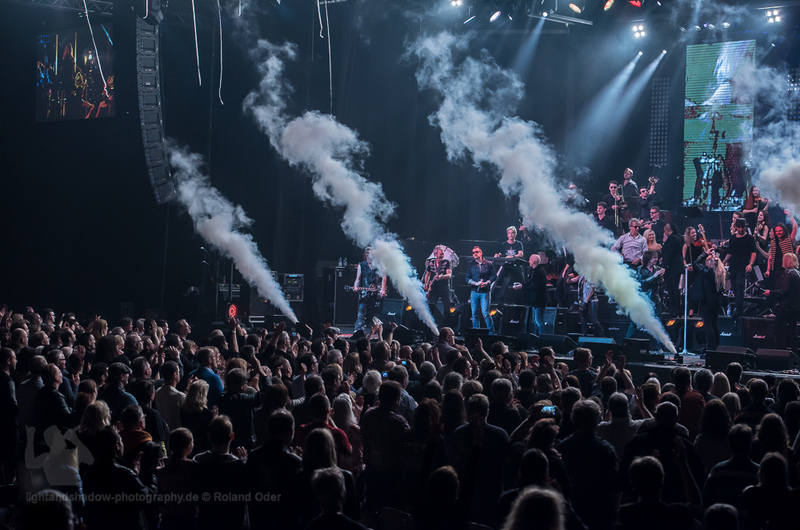 Gabriela Guncikova, leadsinger from the Trans Siberian Orchestra and Sascha Krebs brought after the break with Whitesnakes "Here i go again" the audience, supported by Mat Sinner band directly back to operating temperature. 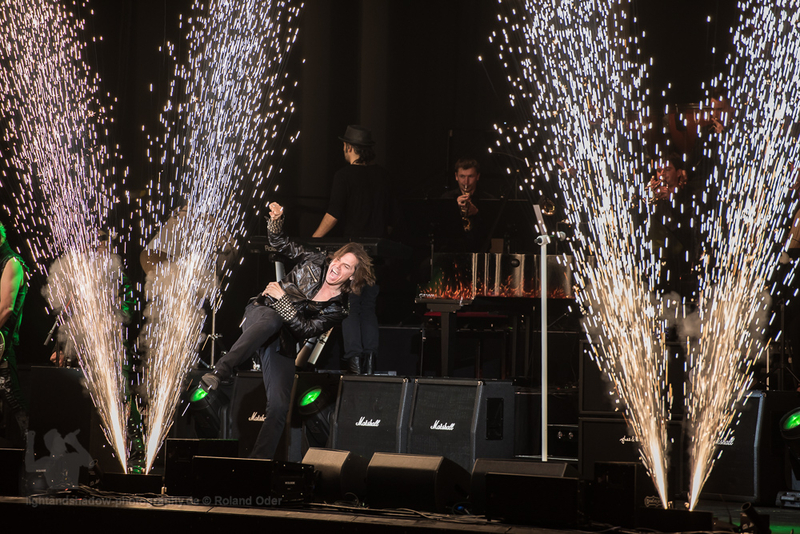 The second fireworks were ignited by Andy and Pete. 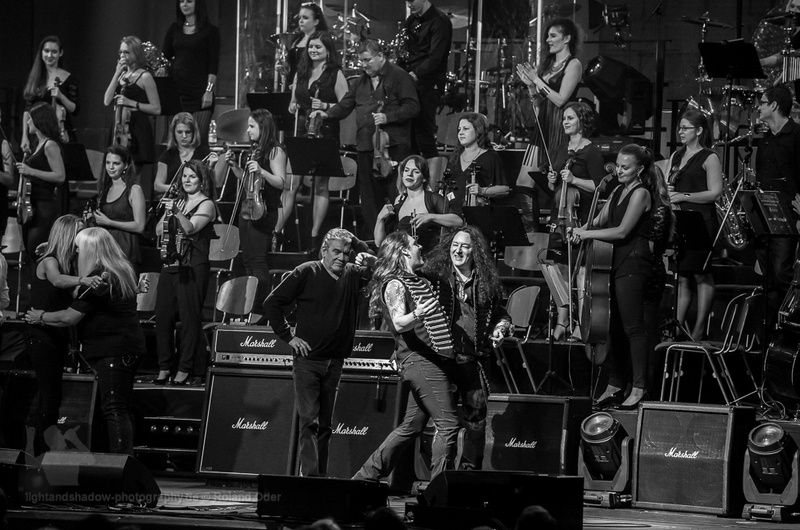 In "Love is like oxygen" and "Ballroom Blitz" it no longer held the audience in their seats. 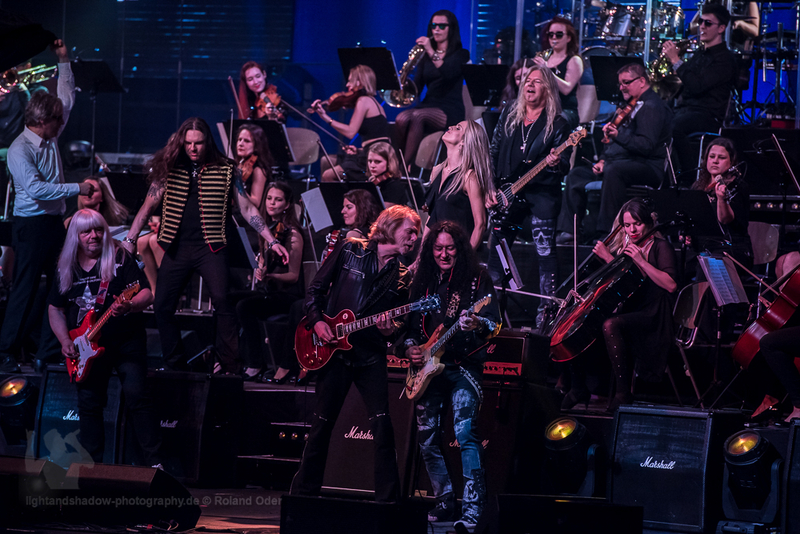 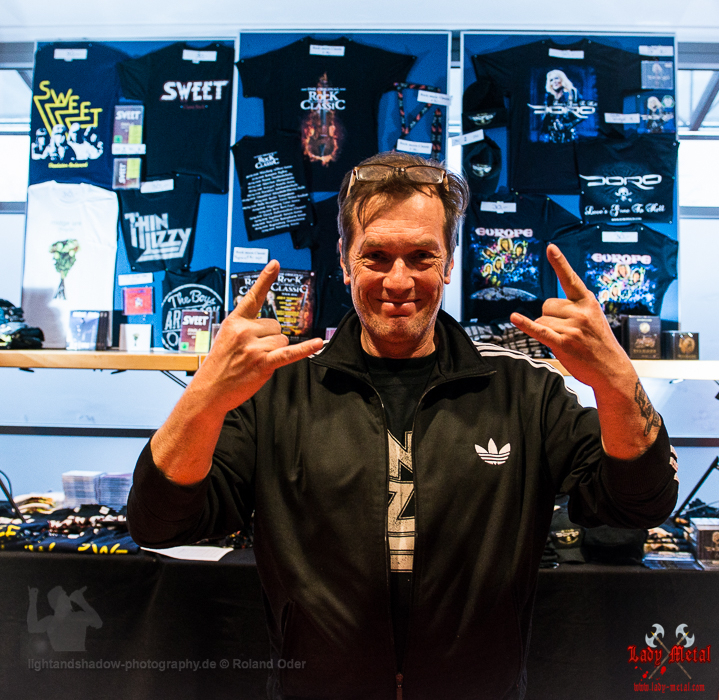 Doro supported vociferously at "Ballroom Blitz". 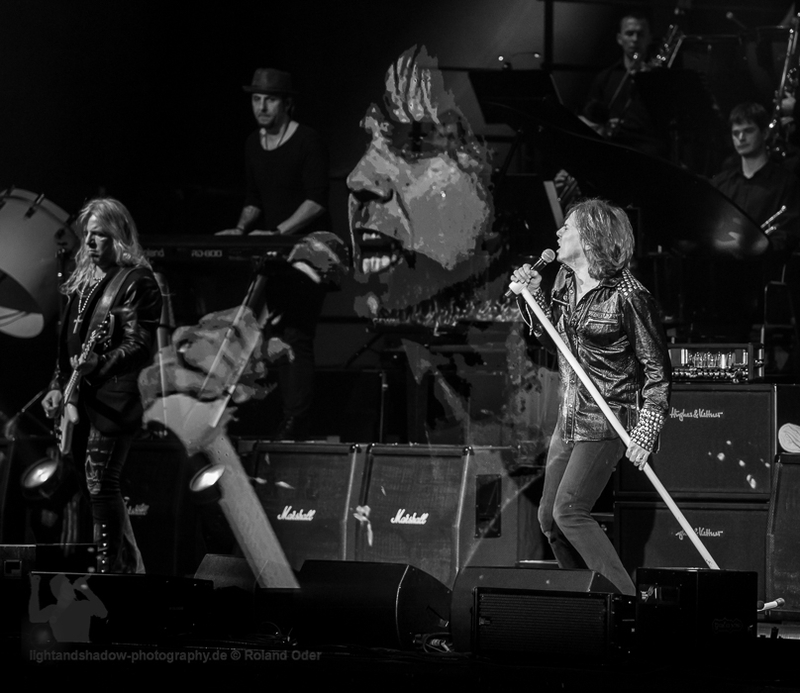 Steve Walsh brought with the Mega Hit "Dust in the Wind" again time to breath. 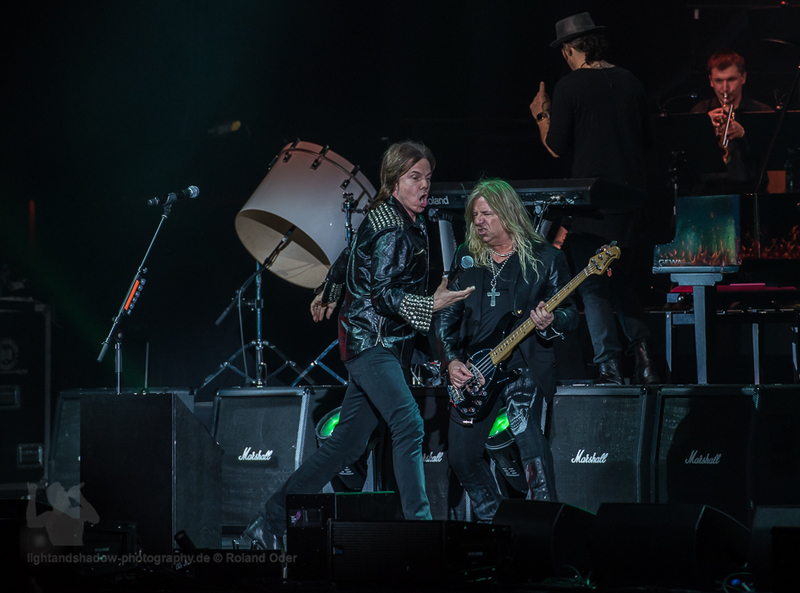 This needed the audience urgently because Steve and Scott again rocking out right with the Thin Lizzy Hits "Dancing in the Moonlight and The Boys are back in town". 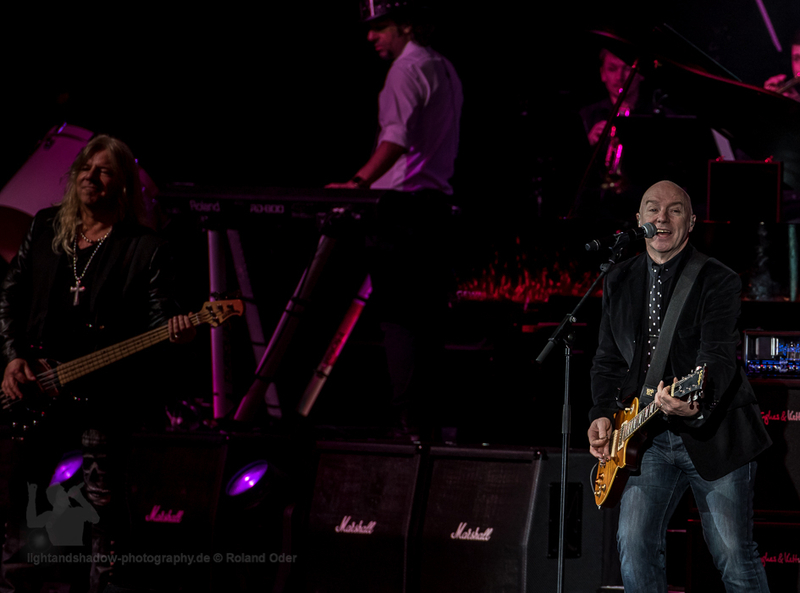 When Dan Mc Cafferty "Love Hurts" sang with Midge Ure on guitar, he could by his charisma audiences again on his side. 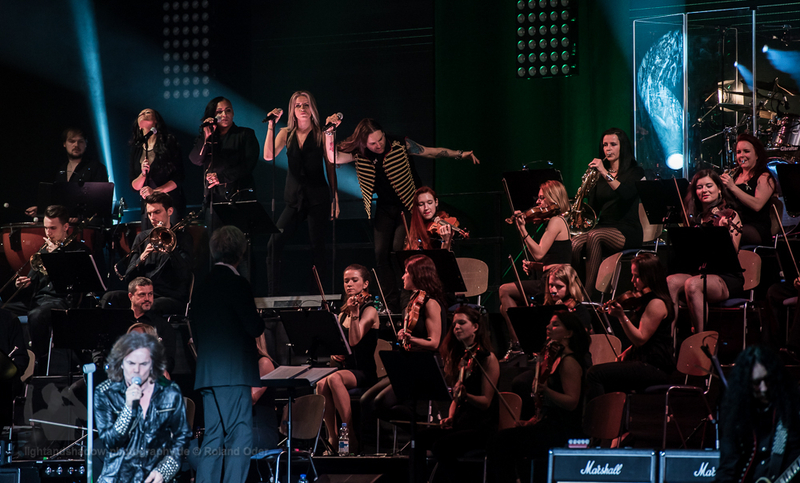 In Mighe Ures "Dancing with tears in my eyes", it held nobody on the chairs. 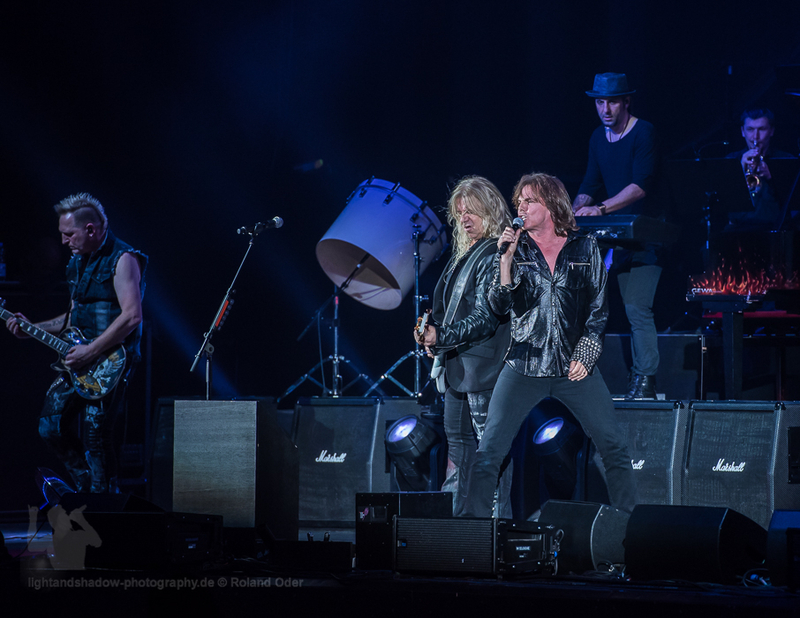 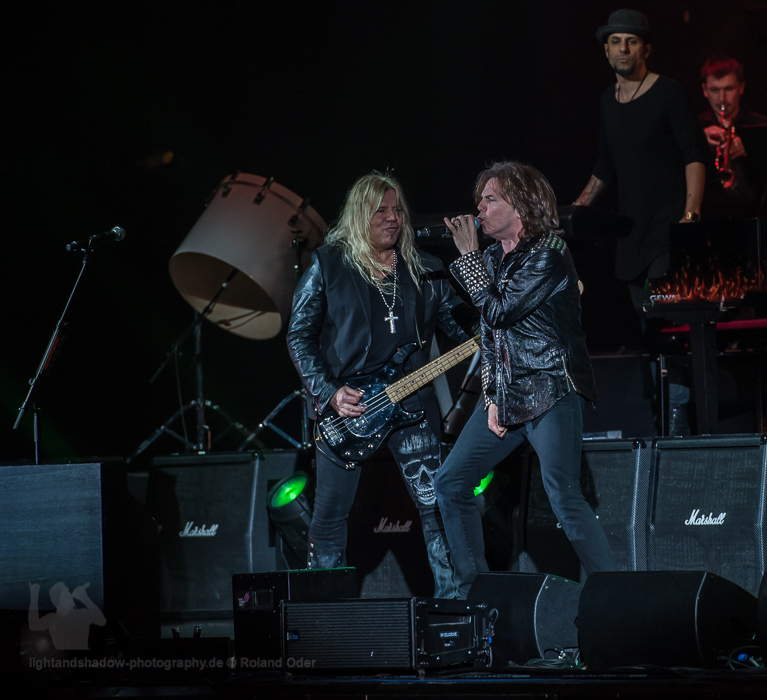 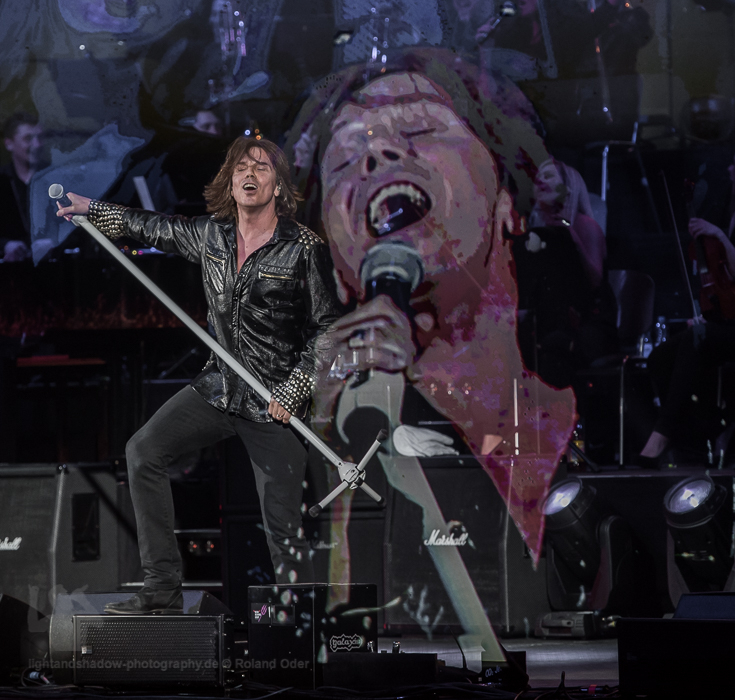 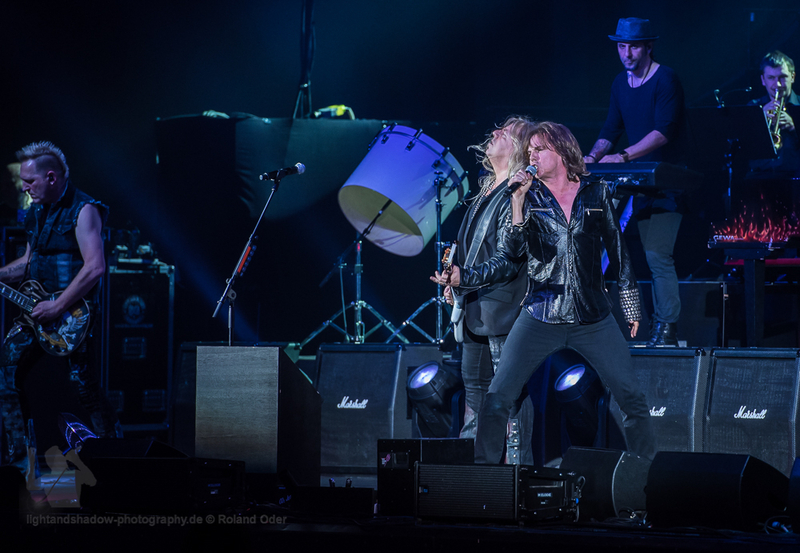 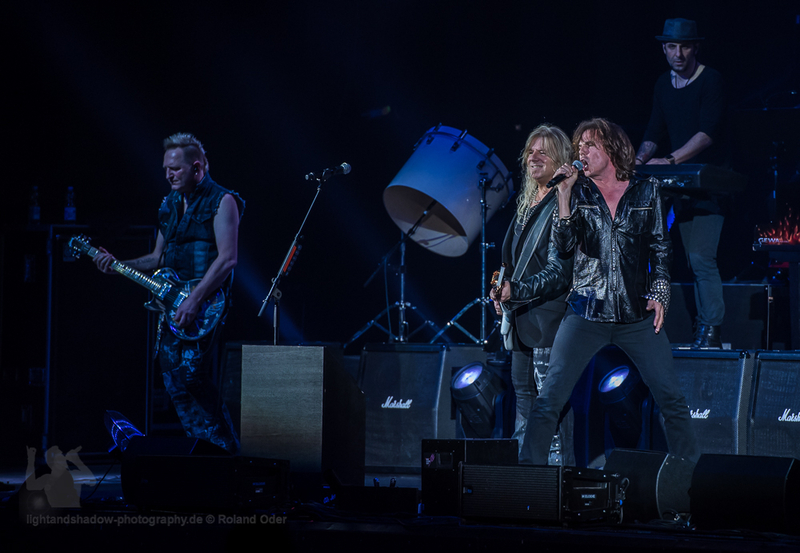 Europes Singer Joey Tempest swept like a whirlwind on stage. 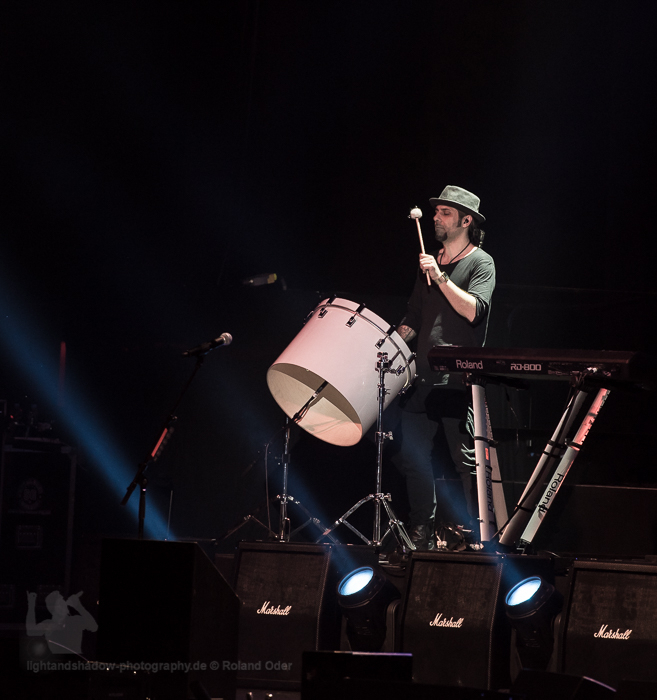 The spark jumped over to the audience. 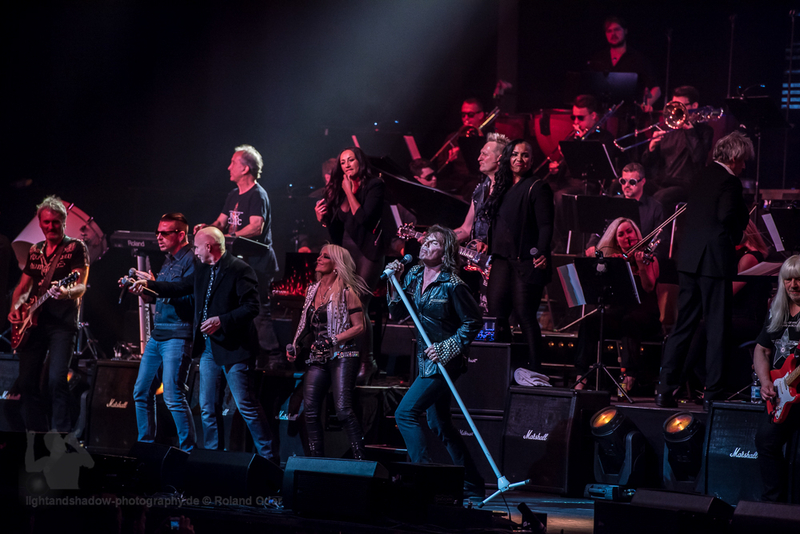 With a huge performance it burned from Hits like "Rock the night", "Superstitious", "Days of Rock & Roll", "Carrie" and "The Final Countdown". 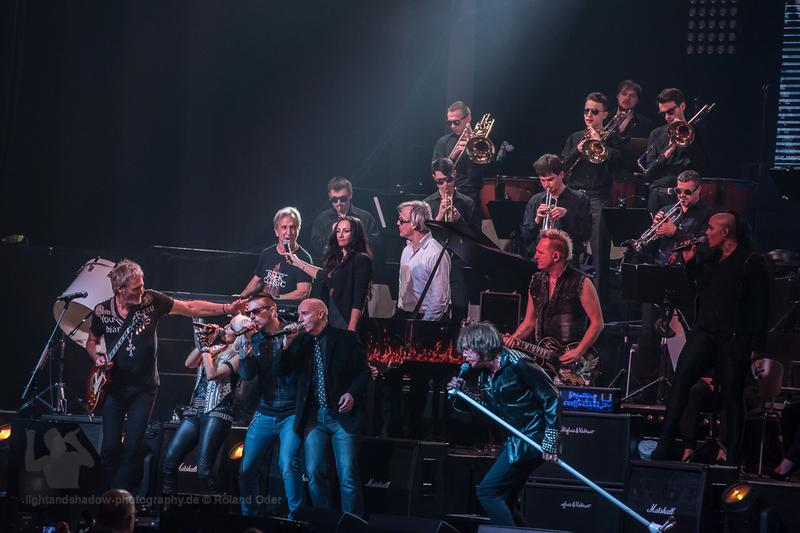 The whole evening was the exelente Mat Sinner Band with Mat himself on Bass, Alex Beyrodt and Tom Naumann on Guitars and Zlatko Jimmy Kresic on Keybord in a outstanding playful mood and supported the legendary guest Singer. 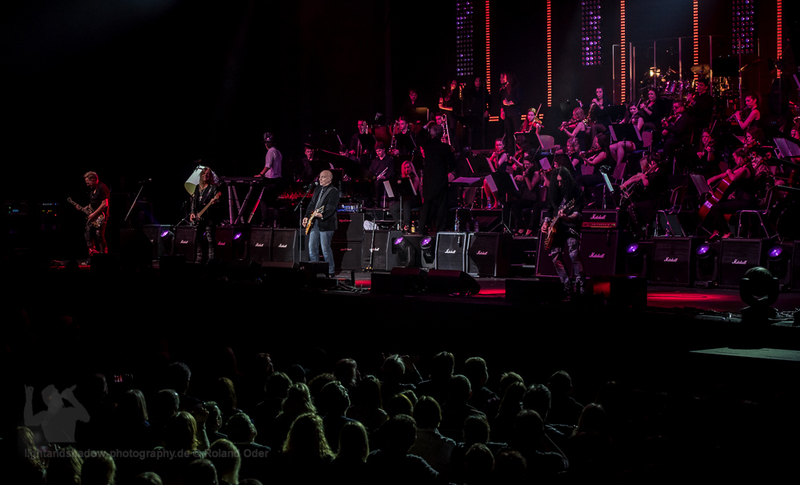 For Led Zeppelin's "Rock and Roll" were all Musicians united on stage as a grand finale of the evening. 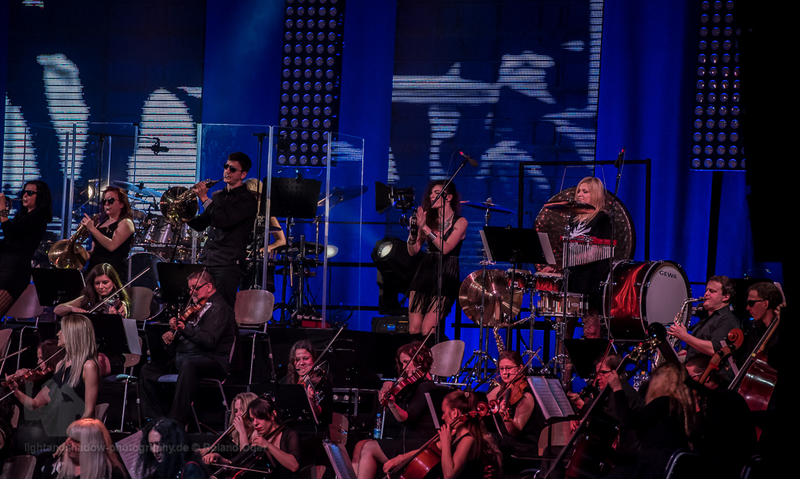 The musical concept has worked out this evening again. 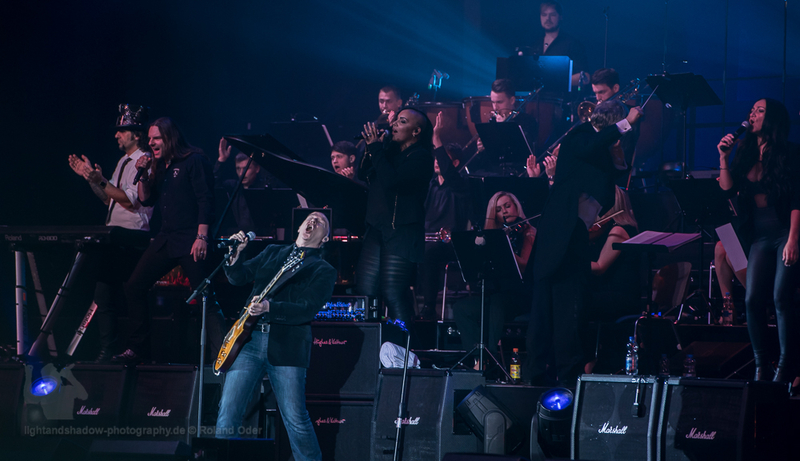 Da Capo Rock meets Classic.